$45 shipped to lower 48 states, $40 pickup in the Seattle area. 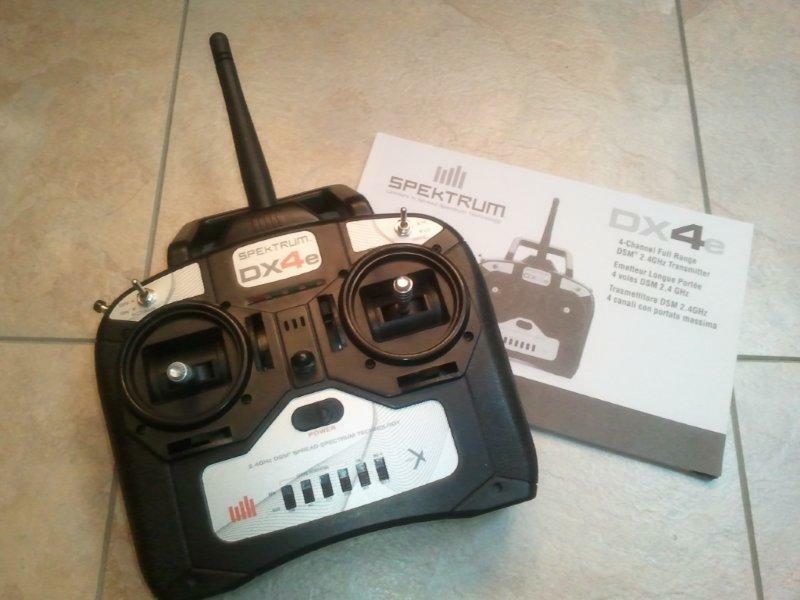 The 4-channel Spektrum DX4e gives you all the benefits of 2.4GHz DSMX® technology plus a few extras you don't normally see on transmitters at this price. Along with basics, like a trainer port and servo reversing, you also get a dual rate switch, optional delta mixing and an ACT switch for use with HobbyZone® aircraft like the Super Cub LP. And because the DX4e is a full-range 2.4GHz transmitter, you can use it with everything from ultra micro helis and airplanes to bigger scale trainers and sport planes. It's a great way to experience the exciting world of Bind-N-Fly® aircraft, too. Its 4-channels and extra functions make it possible to fly just about all of them.